Volunteers are a key component of our society as they are established professionals from varied fields. These individuals are carefully paired with the newcomer immigrants based on criteria such as similar interests, age, and occupation. Our team member responsible for volunteers and mentors uses this information to create suitable matches. Born in Gimli, Manitoba, Shirley was brought up in Winnipeg where she took teacher’s training. At 19 years old she hitch-hiked with two girl friends throughout W. Europe and Britain for six months. That started her voracious appetite for world travel. She had three children, two grandkids and recently a great-grandson. Shirley has lived in all western Provinces and three years in Ghana W.Africa with her spouse and three children. Shirley has had varied careers…Kindergarten, elementary, ESL teaching, as well as sales (including Realtor). She retired from the Federal Gov’t., only to go back to work in group homes caring for the mentally challenged. Time was found in between to travel to Hawaii, Hong Kong, Bali, Costa Rica. Since re-marrying seven years ago she and husband Don have travelled each winter to Mexico, Phoenix, Costa Rica, Hawaii, Argentina, Uruguay and most recently Panama. She has also volunteered in several capacities, culminating with present interest in working with new immigrants to Canada here in Penticton. 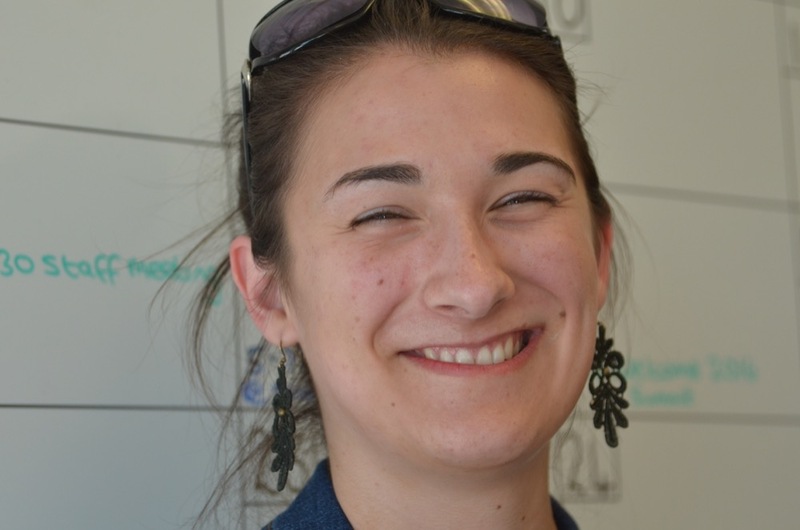 Mackenzie is an Okanagan native with a penchant for travelling. She enjoys meeting people from different cultural backgrounds and learning through their stories. During her academic years, she spent a semester in Poland teaching English to students from Kindergarten to Grade 11 and enjoyed every minute of it! Mackenzie recently graduated from the University of Victoria with a Bachelors in Anthropology and Psychology. She plans to return to school in the fall. While in the Okanagan, Mackenzie actively volunteers with various non-profit organisations in various capacities. Randy Prime was born in 1945 on a farm in Nova Scotia, near the Atlantic Ocean. He moved to Ontario when 11 years old and finished university and teacher certification from Ontario, a little outside of Toronto. He lived in Victoria for 25 years, before travelling for 4 years and then retiring to Penticton in 2003. 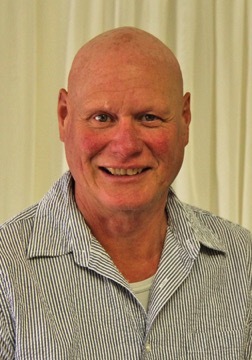 Randy has worked in farming, construction, teaching, car sales, computer programming, computer training and computer documentation. 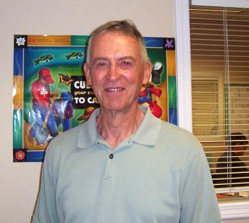 Randy began volunteering with PDMS/SOICS in December of 2003. He also regularly volunteers with Ironman/Challenge Penticton, the Okanagan Children Festival and of late with the Granfondo bike ride. He enjoys travelling, hiking, skiing (both alpine and Nordic) and meeting people with diverse backgrounds. 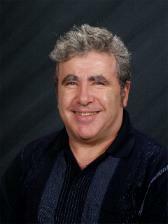 As a mentor/tutor to Newcomer Canadians, Randy is very caring and respectful of all cultures, ethnicities, and religions. As a volunteer he has been a great role model, going beyond his requirements as a volunteer to help at numerous events. Randy also helped to develop SOICS tutor training with the volunteer coordinator for other volunteers, and leads our Conversation Group. Being very reliable, he is able to organize and lead the Conversation Group over the summer. The Conversation Group is an important program that allows newcomers to continue practicing their English while Languages classes were not running during the summer. He also helps schedule other volunteers to assist in this program. In the past Randy has also assisted SOICS by designing Excel Stats Tracking sheet we used for years before we got our current Database. 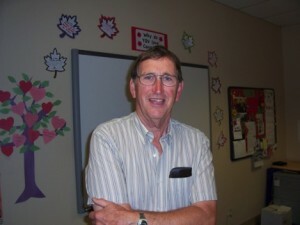 Stuart Culver came to SOICS in 1994, following a teaching career in BC public schools. 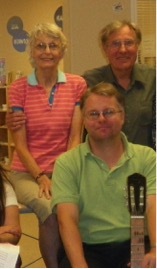 From 1995 through 2004, he taught English classes, first in Leir House and then in the Penticton office on Main Street. When Oliver began offering English classes in 1999, he taught at K&C Nursery. Since 20014, he’s continued doing Canadian Language Benchmark Assessments for new students. In addition, he volunteers to coach clients with special language needs, presently with a small, diverse group of clients in Oliver. Stuart strives to provide the quality instruction he feels SOICS clients deserve. After a career in public education in both England and Canada, Ann Culver finds volunteering at SOICS a good fit. 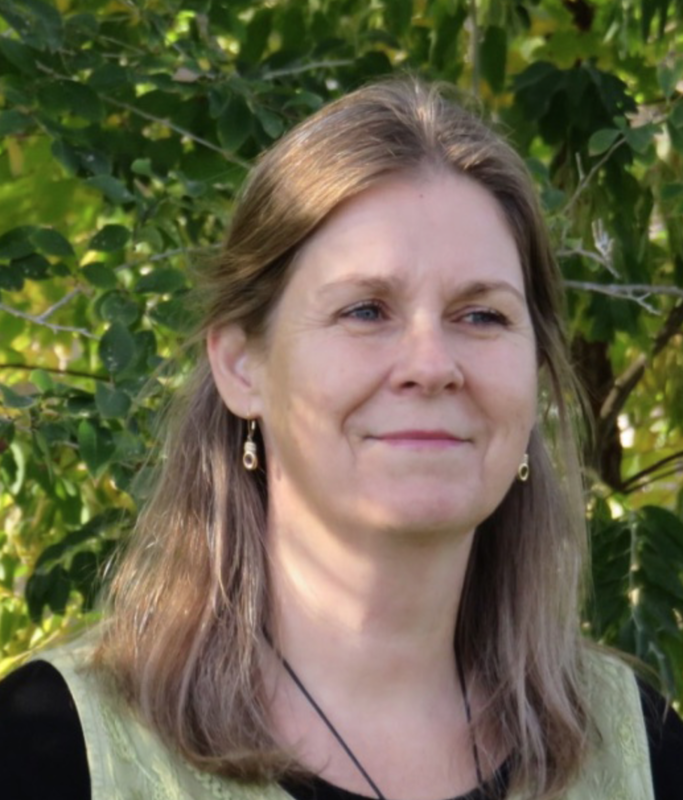 Ann spent several years at the Penticton office helping clients prepare for advanced language tests such as TOEFL. 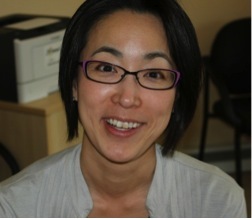 More recently, Ann has helped clients in the Oliver office prepare for the citizenship test. She also enjoys helping small groups of English language learners develop basic conversation skills. Her skills in other languages, such as Spanish, help her communicate more effectively with clients. The rewards of volunteering with SOICS are many and varied, including lasting friendships which Ann hopes to continue in the years ahead. Ann and Stuart enjoy travelling abroad and in 2013 visited one of their Conversation Group students at her family home in Colombia. Simon Culver was born in Penticton and grew up in Kaleden. He graduated from Pen High and went on to complete a degree in music at York University in Toronto. Subsequently he trained as a teacher in England and taught German and French at a number of secondary schools in the London area. Simon has taught English as a foreign language to adult learners in Germany and has also taught music, English and French at private and public schools in the Berlin area. For a number of summers he has greatly enjoyed helping out with the English conversation groups at SOICS in Oliver. Bert Pol is a community volunteer. He volunteers with SOICS as a mentor to our newcomer clients, with Meals on Wheels, and many other non-profits in the community. Bert, his wife and two daughters immigrated to Canada in 1977 from the Netherlands. They went straight to Dawson Creek in Northern BC because of a job opportunity. For the initial few years, he struggled to take care of his family and obtained a well-paid job. However his hard work paid off and he worked his way up to a manager’s position for a lumberyard while learning English and supporting his family. They moved to Penticton in 2011 after Bert was retired. Now retired, he is a mentor to Newcomer immigrants. Bert understands the challenges of immigrating to a new country. When asked what his volunteering goals were he said “To give back to the community and to make a difference in people’s lives.” Bert is an inspiration, and always gives a 110% to those who he works with. Bruce Tawse and his wife Caryll moved to Penticton in August 2015 after living in Nova Scotia for the past 32 years. 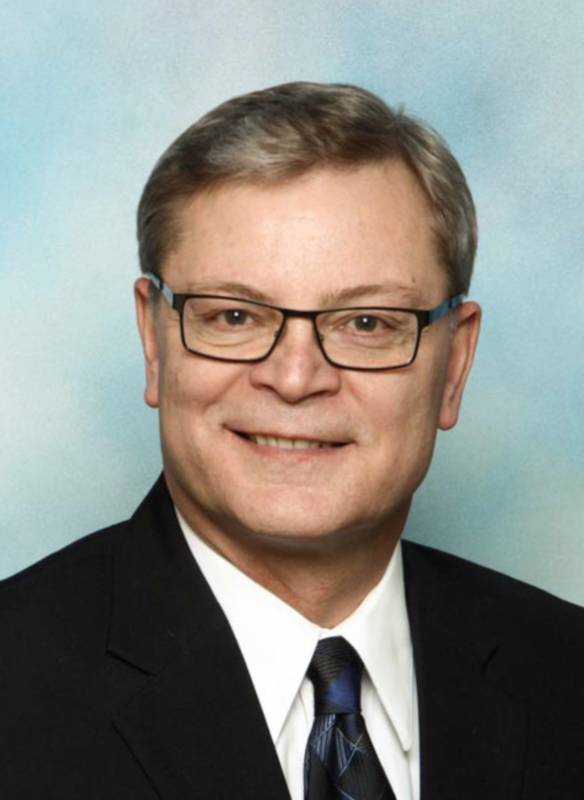 Bruce is “retired” after working in the health care and post-secondary education sectors there, but is committed to continuing to work with communities and organizations. Over his career Bruce has volunteered with Big Brothers/Big Sisters in Manitoba, volunteered as a coach and practice interviewer with the Immigrant Services Association of Nova Scotia (ISANS) and most recently has embraced volunteering in his new community with SOICS. 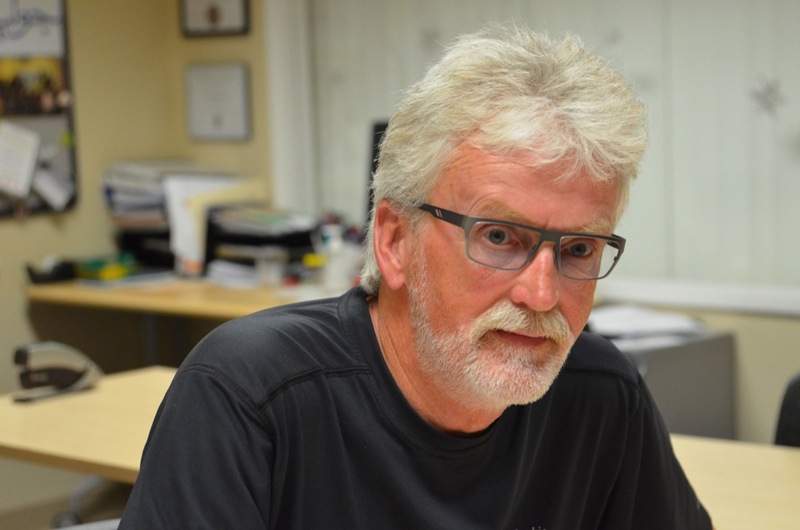 Bruce’s background includes recreation land use planning in the Northern Region of Manitoba, Director of Audio Visual & Printing Services with the QEII Health Sciences Centre in Halifax, Dean of Applied Arts & New Media and Dean of Academic Planning with the Nova Scotia Community College (NSCC) and he retired in 2013 from his position as Vice President Academic at NSCC. Throughout these roles he provided leadership for significant change through mergers, fiscal challenges and strategic planning. He also serves as an Auditor for the Ontario Colleges Quality Assurance Services. He currently is the Principal and Owner of Awareness Executive & Leadership Coaching and both he and Caryll, a nurse, are fully enjoying the Okanagan. Mike Innis was raised in Nova Scotia and after completing degrees in History and Education at St.Francis Xavier University in Antigonish, Nova Scotia. He moved to Western Canada where he spent most of his working career. After being employed for 31 years with the Government of Canada in such locations as Calgary, Edmonton, Penticton, Ottawa and Banff, he retired and moved to the Okanagan. During his career he worked for Canada Revenue Agency and Parks Canada. He retired as the Human Resource Manager for Parks Canada in Banff National Park. He has an extensive back ground in Human Resource management and training. Teaching and designing training courses for both employees and management on such topics as health and safety, staffing, staff relations, contract interpretation and conducting investigations. He has also provided a full Human Resource program for over 500 parks staff within Parks Canada. His time is occupied volunteering, cycling and X Country skiing. Alison was raised in Edmonton, Alberta and began travelling soon after graduating from high school. She holds an M.A. in English and Anthropology from the Georg-August University in Goettingen, Germany and a TESL Certificate from the College of the Rockies in Cranbrook. 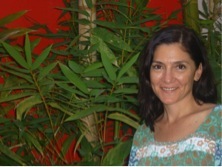 Having lived in places as diverse as Germany, Bolivia and Ecuador, she has enjoyed the opportunity to teach English to youth and adults in language schools and universities in these countries. She has also worked as a freelance editor and translator for several years. She considers herself a positive and approachable person who thrives in multicultural settings. 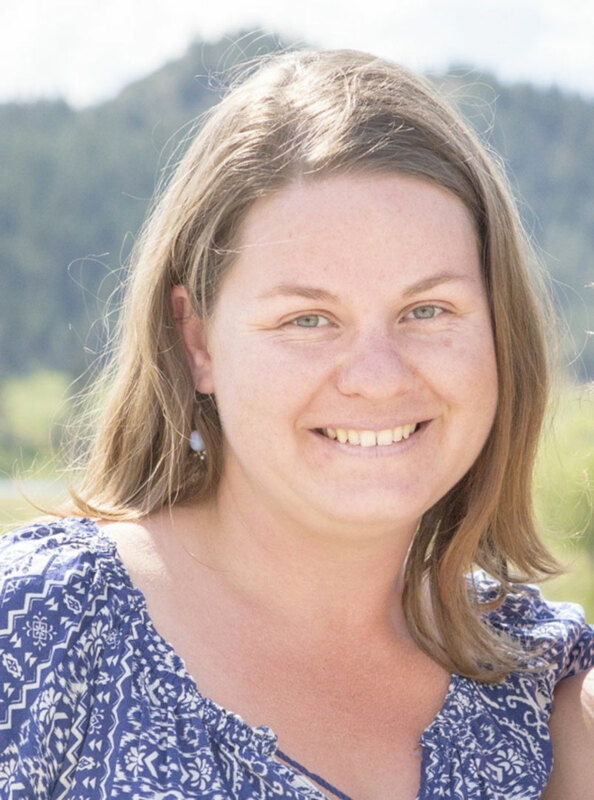 Alison moved to Penticton in 2014 with her husband Arnd and their two young boys, Jakob and Jonas. In her free time she enjoys hiking, gardening and up-cycling old things with paints and her sewing machine. She volunteers as a mentor with SOICS’ Fast Track Mentorship Programme and loves to see how engaged people can make an impact on the communities they live in! Shawn Limbach immigrated to Canada in 2007 from the United States of America and became a dual citizen in 2014. She had a varied professional life, which included almost 14 years in radio broadcasting, 10 years in telecommunications as a computer programmer and then a manager. In Regina, Saskatchewan she began the journey of being self-employed. She moved to Penticton late 2014 and is reinventing herself by offering freelance website design services. She is also a practicing astrologer and offers private and group consultations. Penticton has brought artistic expression back into her life and she is enjoying taking classes in both acrylic and watercolor painting. Other pursuits include writing, blogging and enjoying the natural beauty of the Okanagan Valley. Beth Smith has a B.Ed. in English and Reading Education from UBC as well as a TESL Certificate from the University of Saskatchewan. She enjoyed teaching ESL to adults for over 20 years at the College of New Caledonia and at the Multicultural Heritage Society in Prince George. 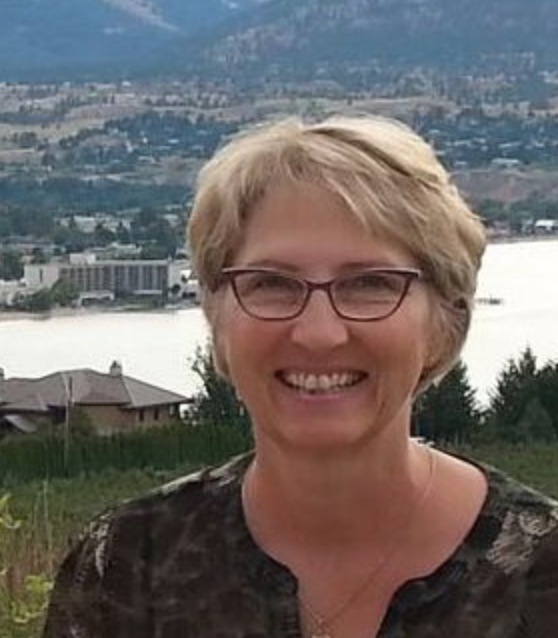 She and her husband moved to sunny Penticton in 2014. She loves spending time outdoors, gardening, doodling, traveling, and keeping in touch with her three sons. Beth is happy to use her experience to help newcomers with their English language practice. She feels that meeting and learning from people from around the world is like traveling without leaving home! She also gets a lot of satisfaction from watching newcomers’ second language skills improve. Lastly, Beth loves the English language – especially grammar! Dave Johnson has a varied work background: picking cherries, picking tobacco, picking vegetables and weeds in an organic market garden; being a geologist in mineral exploration, mining and oil and gas; owning and operating a one hour photo shop. He has also taught math, science, social studies, English and art in high school. Currently, Dave is working in the service industry as a night auditor. I’m also a senior with many life experiences including raising four children with my former wife and all the trials and tribulations that that entails! Dave has lived in Penticton for over 6 years although his relationship with the area goes back to the early ’80s since his parents lived here for many years. He looks forward to expanding his knowledge through mentoring new friends at SOICS! Shehnaz Parmar, an immigrant herself, leads our volunteer cohort with a passion for mentorship. She has mentored a number of younger clients who have had difficulty integrating into Canadian society. Through gentle yet persistent methods, Shehnaz gains the trust and acceptance of these newcomers and breaks through cultural or adopted defenses to enable them to begin the process of integrating. She encourages her mentees to explore their new lives and see the value in learning English and continuing with their education. Shehnaz interacts with SOICS settlement and LINC clients regularly, using one her five languages when necessary, but always encouraging English first. She acts as a role model to newcomers. Through our agency, Shehnaz has made numerous contacts in Oliver and has become a recognizable resident of the town community. She has often appeared on local media sites through her attendance at non-profit related programs and events, helping to keep the SOICS name in the forefront. With limited ability to help in the community, Shehnaz has decided to concentrate her efforts through SOICS. Shehnaz is an excellent example of an immigrant who is ready to help newcomers, older immigrants and naturalized citizens. The programs she devises are modest but impactful. Shehnaz believes in the use of crafts or arts to reach out to all communities. She takes pride in her contributions to this office in supporting inclusion and integration, education and language and she celebrates the diversity of our clientele by making everyone feel welcome. Nick moved to Penticton in October 2014 from Vancouver (after a brief emigration to Panama), and joined SOICS as a volunteer in November. He emigrated from England to Canada in 1966 after graduating from Cambridge University in Engineering (and in playing bridge). He attended UBC as part of the first batch of Masters of Computer Science. He has 50 years’ of multi-professional business experience, which includes 12 different careers, one of which involved career counselling and job search training. He has also been very active as a volunteer, helping to lead many not-for-profit organizations – from alumni groups to a recovery home for alcoholic women. He is currently on the steering committee to set up a mentoring program for the Society for Canadian Women in Science and Technology. Jessica is a Mexican, born in Cd. Obregon, Sonora and raised in Puerto Vallarta, Jalisco. She came to Canada with her daughter and partner at the end of August 2013, to study a Post Diploma Business Certificate in Tourism and Hospitality at Okanagan College. She has been living in Penticton and being introduced to the Canadian life and culture for over a year now. 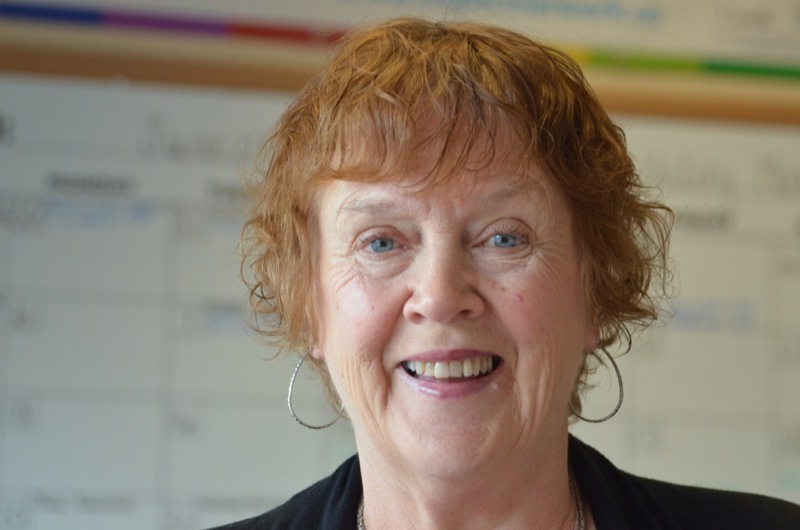 After becoming a Permanent Resident, she decided to contribute to the society by volunteering at SOICS… “My time and skills to newcomers, workers, students or immigrants who are part of Penticton and its surrounds community. To help those in need to adjust to Canada and at the same time, to learn more about the Canadian culture, lifestyle and the workplace.” Jessica is a hard-working, self-motivated person with strong skills oriented to sales, consulting and customer service. She is also experienced in teaching and office administration. Whenever she has the chance she likes to go to the movies, enjoy a good show or performance in theaters or listening to music and travelling. She also enjoys sports like yoga, Pilates, bike riding and, cross-country skiing! Canada is my first country that I have seen outside of Japan. I even didn’t know about Canada at all when I came to Canada the first time. I was 19 years old. My major in college was English and had an opportunity to join a host family program to learn English conversation and foreign culture in Canada. The experience in Canada blew my mind. People, natures, language, food, activities, TV programs, buildings, roads… every single thing brought me out of my young, small world. Especially my experience with my generous host family moved me. They showed me so much more ways to see values in our lives. Since then I always wanted come back to Canada to LIVE. After my 5 years of work in a bank in Japan, I came back to Canada as an ESL student. I studied hard. I stayed with my new host family. I spent a lot of time with them. Again, they showed me many parts of Canadian life that I totally enjoyed. Everyday was a new journey and Idiscovered myself in the journeys. I couldn’t go back where I was any more. After I finished ESL course, I entered a Business school in Vancouver to get a diploma. I met my husband during the course. I successfully graduated the business school. After my work experiences with a travel agency and Japanese language school, I decided to go back to Japan because of my visa situation and also my husband wanted to see Japan. We enjoyed our life in Japan and got married there, and then we came up to the point that we had to make decision. Where do we want to grow our family? Canada was our answer. We moved to Oliver, BC. Everybody asks me what brought us to Oliver. My mother-in-law lives in Oliver. She generously offered her house for us to get back to Canadian life. Settling down in this town didn’t take long time. School welcomed our kids. Thanks to all teachers and new friends, our kids adjusted their life easily. Life is interesting. When the time comes, it happens. Through all the experiences and relationships with people I met, I finally felt accepted as a part of Canada, not only a visitor any more. I didn’t know about Canada at all the first time I came to Canada, now I know much more than back then. I totally believe Canada is the most generous and unique country to accept and respect multicultural society. I feel fortunate to be a part of this society. I’m thrilled to think about how our girls will grow up in Canada with some part of Japanese background because Canada changed my life so greatly. Rhonda Mannings has been a Speech and Language Pathologist for 35 years. Her experience includes working with hospitals, school districts and clinics. 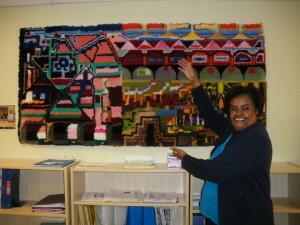 The majority of her work was at the Child Guidance Clinic in Winnipeg. 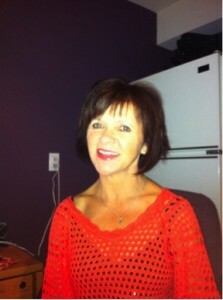 Rhonda has also worked in Australia, The Pas, Colorado and Penticton. Presently she is a Speech Pathologist with First Nation Schools in BC. Rhonda has been volunteering for one year at SOICS doing Accent Reduction with adults and enjoys it. If you would like to learn more about the mentorship program, or if you are interested in becoming a volunteer mentor, please call or visit one of our offices.